How big data can improve tax collection and reduce tax evasion? Whatever be the source of tax - whether an MNC, a local homegrown company or an individual, the pivot for any successful tax compliance and collection is ensuring a sound set of data and an insight into the taxpayers' journey. Direct tax collections this year are expected to touch, if not cross Rs 10.05 lakh crore (roughly $15.24 billion). This approximately 12% rise in revenue compared to last year is a positive testimony to the increase in efficiency of the tax departments and reflects the much-needed growth of the taxpayer base. Specific to personal or income tax, the good news is that the number of tax returns filed has also increased by more than 26% - from 54.3 million in FY17 to 68.4 million in FY18, according to the Central Board of Direct Taxes (CBDT). In fact, there has been a continuous upswing in the quantum of returns filed since 2014. Between FY14 and FY18, this number has jumped 80.5% (From 38 million to about 68 million). This includes many new tax-filers too (there were almost 10 million new filers in FY18. While the overall numbers of income tax filers may look impressive, the actual tax paying base remains minuscule. 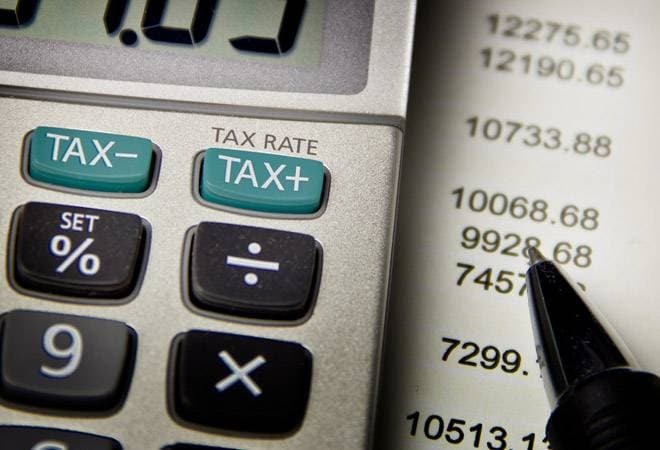 The finance minister (FM) rightly claims that the rate of tax compliance is low in India, with only 36% of all taxpayers in the organized and unorganized sector filing tax returns. However, a closer look at recently released data suggests that tax compliance among taxpayers is at 11.6%. This, coupled with the low tax-to-GDP (gross domestic product) ratio, suggests that there is still much the government can do to widen the tax base. Whatever be the source of tax - whether an MNC, a local homegrown company or an individual, the pivot for any successful tax compliance and collection is ensuring a sound set of data and an insight into the taxpayers' journey. Uncovering fraud, however, is difficult because tax regulations are complex and many tax evaders are clever. Companies and individuals employ a phalanx of auditors and tax experts to reduce their tax burden. Tax violations are difficult to uncover, especially among business taxpayers, who have many justifiable expenses and exemptions that are harder to track. Big Data and analytics can help provide a method to find anomalies, possibly leading to predicting where these anomalies may happen again. Purchases online, electronic and card transactions, billed offline purchases, as well as reactions to tax notices, are all data points in an individual's tax journey, that can be used for a taxpayer's behavioural analytics. In fact, Big Data and analytics, coupled with Artificial Intelligence (AI) can work even better to help regulators significantly increase tax compliance. For example, by analyzing historical data about the reaction of taxpayers on receiving tax notices can be summed up to predict their next move. Predictive analytics can also develop sophisticated risk profiles, analyze trends, flag potential audit issues and identify higher-risk cases for deeper investigation - potentially cutting off avenues for fraud even before they take place. So, for example, central and indirect tax authorities could use predictive analytics to examine 15 years of known tax-fraud cases. Powerful algorithms could now be used to mine this data pool to look at trends and patterns. Basis these countless trends and patterns, predictive analytics could spot potential tax evasion cases more easily, reducing the need to deploy expensive human resources. New cases would continuously be added to this data pool real-time, improving the quality of the data being mined. There are countries where big data and analytics have boosted fraud recoveries by as much as 25%. But it's not about only analyzing old returns. Predictive analytics can analyze tax evasion even in real time. Today, the interactions that the tax authority has with the taxpayer are limited. It is either through TDS, GST or through the government's e-Filing portal or state tax authorities. Regulators only send notices and conduct tax-raids once they have discovered that the taxpayer is non-compliant. This reactive approach of regulators leads to loss of time and resources, and cumbersome legal cases. With Big Data and Behavioral Analytics, the tax-authorities can analyze interaction data, map the tax journey and understand the demeanour of an individual or a company towards tax compliance. Using this proactive approach tax authorities can analyze the amount of tax they can collect, interact with taxpayers comfortably, forecast scenarios for efficient utilization of resources, as well as meet their expectations and that of the taxpayers. For example, if the CBDT, CBEC and state tax authorities have data about the behaviour of an individual or a company that has been evading tax and is monitoring their tax journey, it can allocate resources in advance to either conduct a raid, or a non-compliance notice, or a simple reminder. Data can be collected based on visits, claims, queries and other interactions by supporting tax authorities such as the MCA, FIU, GSTN and shared with the central tax department for analysis. This will eventually create an environment that tells the tax authority whom to go after and how to govern the taxpayer ecosystem, as well as the kind of value that it will bring. Another measure that could be introduced by central and state tax authorities is to initiate a tax-credit rating for firms and industry, especially small and medium businesses. As with similar schemes the world over, this would help facilitate the concentration of audit resources on riskier taxpayer segments, with lower-risk commensurately being accorded a lower level of scrutiny and audit. The credit ratings can be from 'A' being the best to 'D' being the riskiest that can be awarded to taxpayers and be published by authorities. These ratings could be generated by complex analytical algorithms based on both historical and real-time data related to the company, the industry, taxation rates and other relevant macro and micro-economic indicators. This is something that AI could enable very effectively and then be corroborated by auditors. The benefits for companies could be enormous. To be ranked A or B would automatically have a positive bearing on shareholder and employee trust as well as on stakeholder engagement and would, directly and indirectly, impact the bottom-line. Tax evasion fraud is an issue faced by governments across the world and big data analytics is a proven way to improve detection. As John F. Kennedy once famously said, "It is a paradoxical truth that tax rates are too high today and tax revenues are too low." I don't know if Big Data Analytics will address the first issue; let's hope for all our sakes that it solves the second.